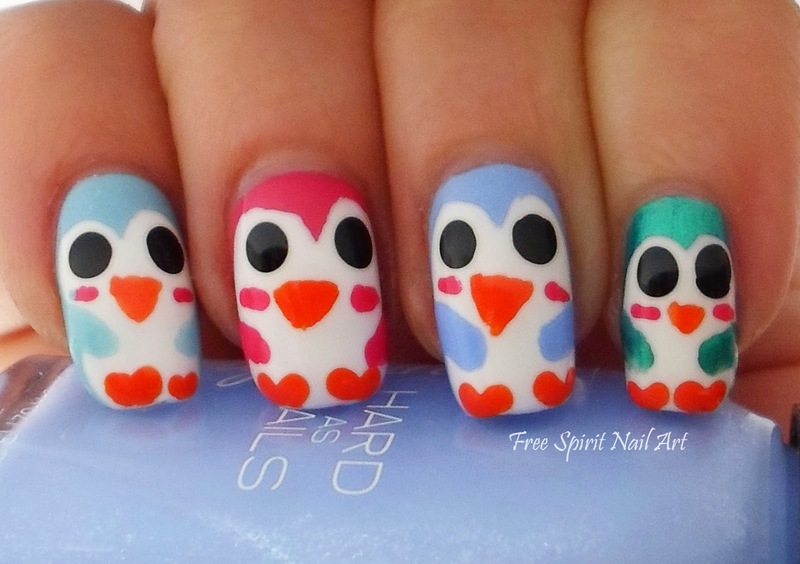 Free Spirit Nail Art: Penguins and PJ's - a winning combo! 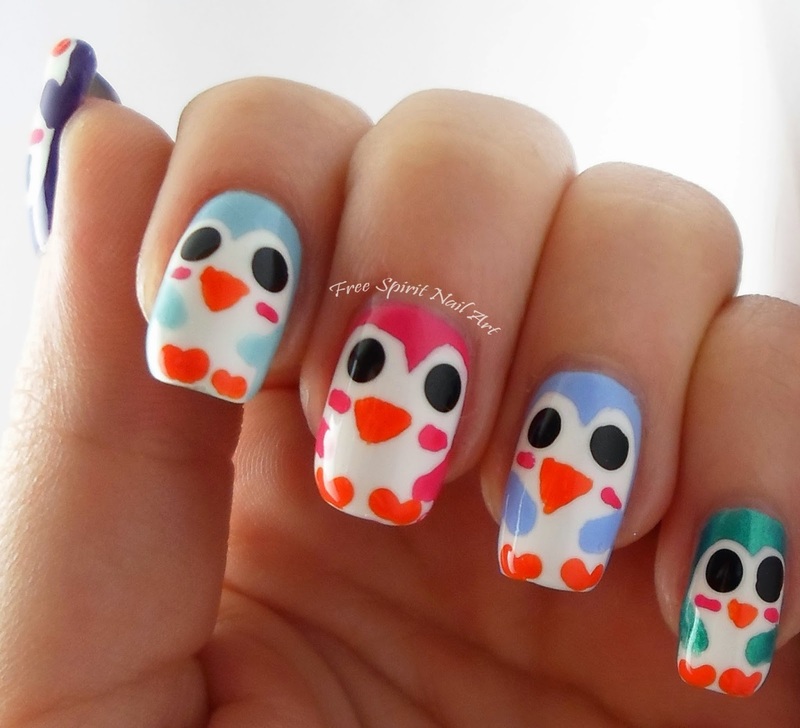 Hello my fellow nail polish lovers and dear readers! 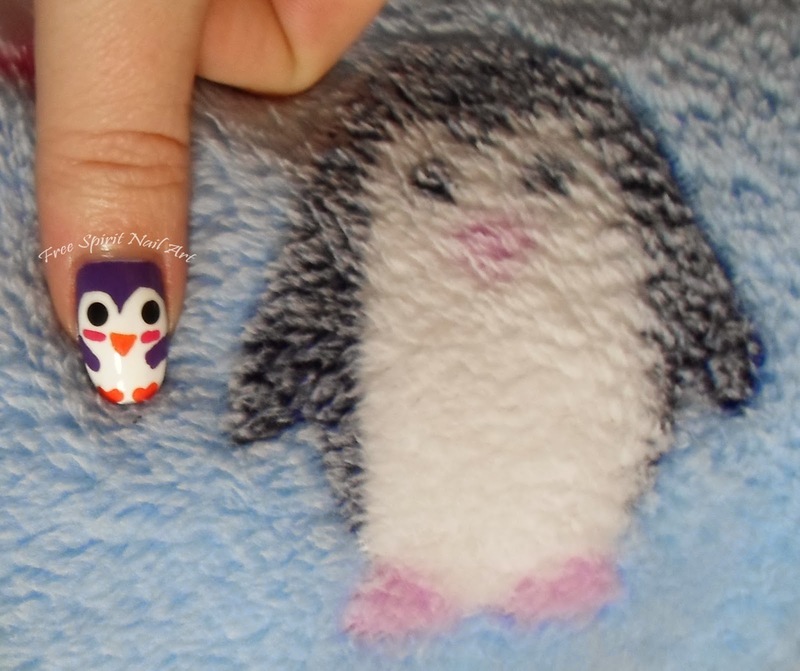 Today I'm sharing with you a mani that was inspired by a pair of fuzzy PJ's my love recently bought me (Thanks babe!) 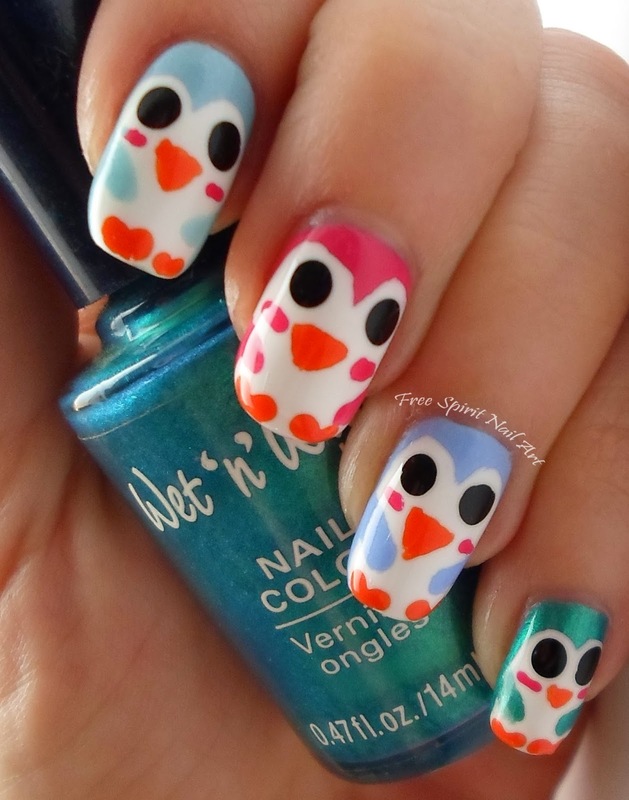 that were just too cute not to draw inspiration from! And the PJ's that inspired them! I love fuzzy PJ's no matter how uncool or unsexy they are! This pair in particular are super soft and already my new fave pair! 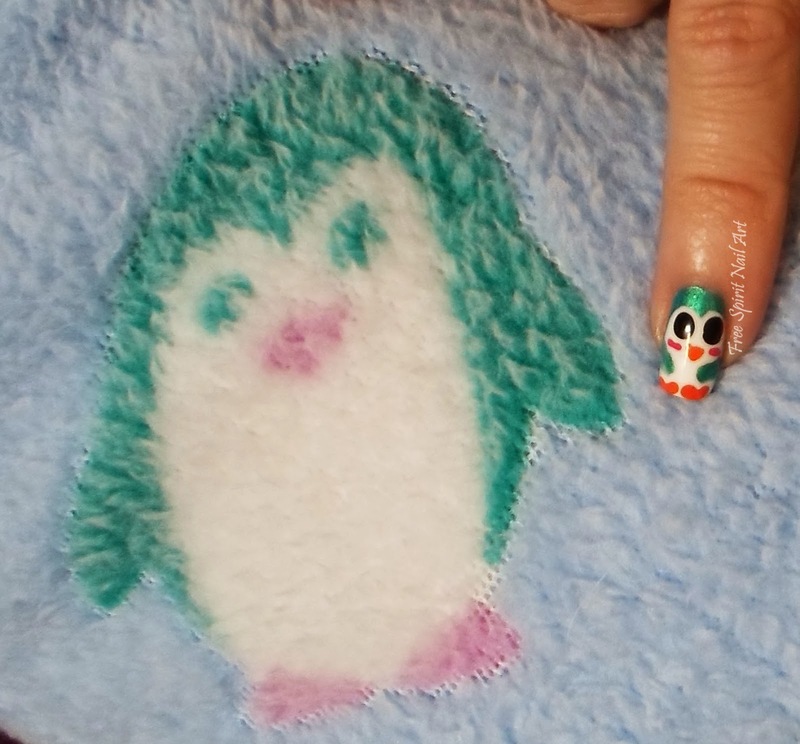 I even had colors that matched pretty close to the penguin colors on the PJ's. 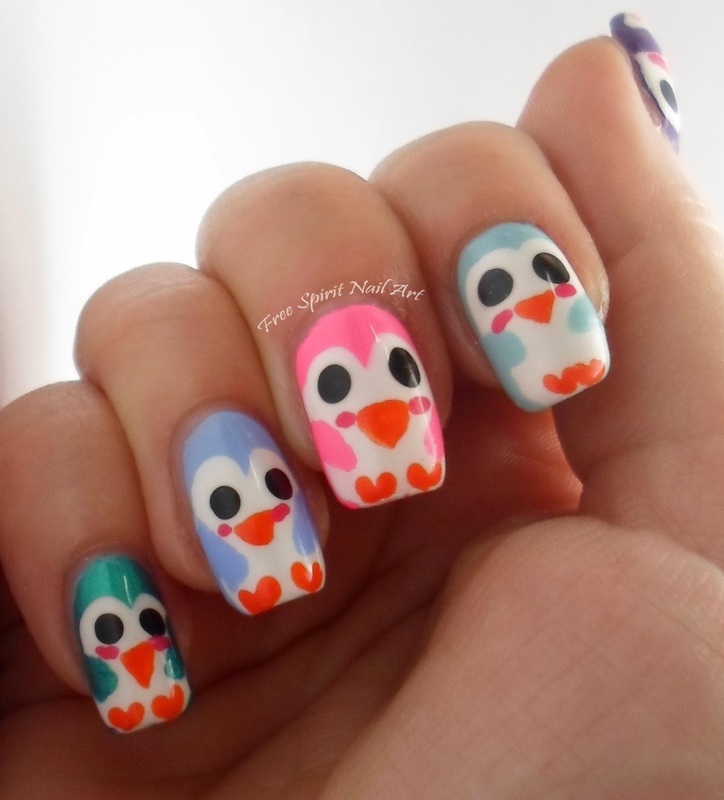 It's when things like this happen that make me happy I have such a large collection of polish. I liked these so much I actually wore them for 5 days! That's like a new record for me! 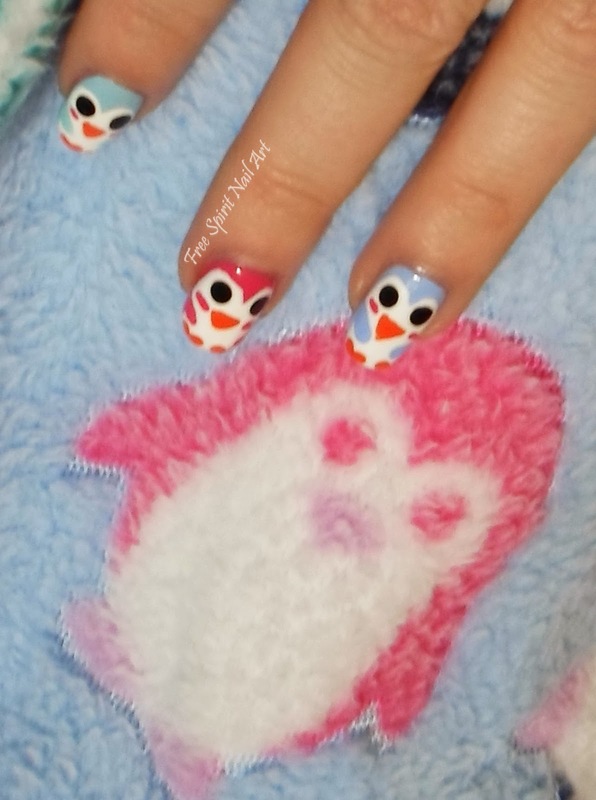 I have more fun and cute mani's coming up so be sure to check back soon...and I'm sure I'll eventually get sick of the cuteness and go back to some more "grown-up" designs....but for now fuzzy pj's, a grin, and hot cocoa are exactly what I need to enjoy this winter!